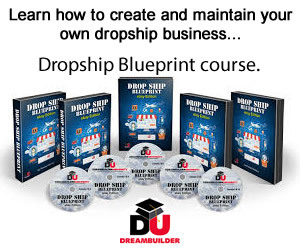 Drop Ship Sites: Starting a Drop Ship Business - Part 1 - What's in a Name? Keep it Simple – When selecting a domain name it is best to keep it as simple as possible. Use short common words and keep away from incorrect spellings. For example, if the name of this site was dropshipsitez.com many people would mistakenly type in dropshipsites.com, replacing the z with an s.
Leave out the Extras – If at all possible avoid the use of hyphens or underscores. A visitor is likely to type the entire name of your site forgetting the extra characters. Com Extension – .com names comprise nearly half of all registered domain names and are by far the most common extension. Out of habit if nothing else a potential visitor is likely to type a .com after your domain name. Stay on Topic – Choose a domain name that is related to your website. Not only will this help your customers associate your site with your domain name, search engines also use domain names to help establish relevance. Keep From Paying Too Much or Too Little - Most domain registrars pay between $5 to $7 per name and those who register large quantities may get better rates still. With that in mind, a fair price for a domain name IMHO is no more than $10/year. Additional features such as ID protection may warrant extra costs. Beware of Hosts That Offer Free Domains - Not that this is a bad way of acquiring a domain name, just be sure to read the fine print. Make sure that if you decide to change hosts you are able to transfer your domain name without cost. Check the Renewal Price – Although many registrars may advertise an unbelievably low domain registration price, they may make up for the initial loss by charging a much larger price for renewal the following year. Does the Registrar Offer ID Protection? – Registrars are required to maintain accurate contact information for all domains. In fact, willing providing inaccurate information can cause your domain to be taken from you ( read more here ). What this means is that your personal contact details are available to anyone who performs a whois search on your domain name. By using ID protection services your contact details are replaced by those of a Domain Privacy Protection Service. The service keeps your email address on file and forwards any important communication to you. 0 Responses to "Starting a Drop Ship Business - Part 1 - What's in a Name?"